In a Nutshell: The United Food & Commercial Workers International Union works daily to improve pay, benefits, and working conditions for its 1.3 million members. The UFCW is America’s largest private sector labor union and represents the grocery, retail, and packing house workers who help the economy run. As technology threatens to automate many jobs, the UFCW is working to show the value that knowledgeable and professional associates bring to customers and businesses. The organization also helps members advance their careers through free college tuition and GED courses. In the modern labor movement, the UFCW stands up for working conditions — and work-life balance — that result in better jobs and a stronger labor force. The members of the United Food & Commercial Workers International Union play an often-overlooked role in our daily lives. Take Super Bowl Sunday for instance. UFCW members work in the industries that provide some of the most popular items on the menus at parties across the country: Nathan’s Famous hot dogs, the Heinz Ketchup for those hot dogs, the Hidden Valley Ranch dressing for the chicken wings, and they even sell the avocados for the guacamole. The Jim Beam for the whiskey and Cokes came from a distillery whose workers are represented by the UFCW, and members made the leather for the footballs used in the game. “Our members are behind the scenes in all these daily interactions and moments in people’s lives, from the Super Bowl to Christmas,” UFCW Communications Director Erikka Knuti said. The union is in the midst of a public campaign to tell the story of how its 1.3 million members work hard on a daily basis to benefit the grocery stores, retail shops, and packing plants where they work — as well as the customers of those businesses. The goal is to spur investment in the workforce by showing their value. The UFCW formed in 1979 as a partnership of unions that have represented retail clerks, meat packers, butchers, barbers, beauticians, and other trades since the late 19th century. Their shared mission was to improve the pay, benefits, and working conditions of their members. That remains the priority today as corporations, and even consumers, often overlook the low pay, unpredictable scheduling, and long hours that workers often face. The UFCW is also shining a light on the contributions of members to show their value as professionals. That public outreach campaign includes a “How-To” video series on the UFCW website where members — from butchers to florists — can share their professional knowledge and advice. Erikka said that as automation threatens jobs, it is particularly important to show how professionals can enhance the customer experience and offer expertise that helps businesses boost sales. Best Buy is one of many retailers that have taken that approach. The consumer electronics giant turned itself around by investing in knowledgeable associates who focus on meeting customer needs and enhancing the overall experience beyond just selling products. In the modern workplace, businesses and employees both face a significant challenge in managing rapid change. And while companies allocate resources for change in the form of equipment or technology, preparing workers for an evolving workplace is often an afterthought. The UFCW has introduced multiple programs to help members adapt to changes and progress in their careers and personal lives. UFCW members and their families — spouses, domestic partners, children, stepchildren, and grandchildren — receive free tuition toward an online associate’s degree from Eastern Gateway Community College in Ohio. 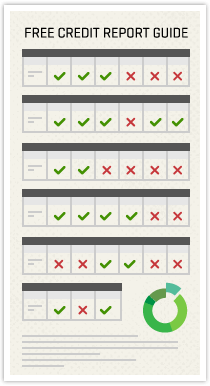 The arrangement covers all fees and ebooks for courses. The free tuition program initially started with local labor unions in Ohio that recognized cost was the single biggest barrier to finishing college. Finance, marketing, early childhood education, criminal justice, and accounting are among the degree programs available. Erikka said in one particular case, the opportunity to pursue an early childhood education degree benefited both a UFCW member and the retail store where she works. “She is taking early childhood development classes and gaining expertise while working in the baby aisle at her store,” Erikka said. Across the country, many frontline retail and grocery store workers drop out of high school to get a job and help support their families. Erikka said a new UFCW initiative is designed to help them. “We’re about to roll out a program for people who didn’t finish high school to get their GED,” she said. A GED will help workers meet qualifications for additional positions and open the door to pursuing an associate’s degree through the free tuition program at Eastern Gateway Community College. English as a second language programs are also available to help UFCW workers better serve customers and advance in their careers. The UFCW will soon offer Spanish as a second language programs as well. The skills that members learn through language courses will only add to their value in a retail setting, Erikka said. Today, many companies see automation as a way to cut costs by reducing the number of employees they need. “We are feeling the heat from technology, and it is happening across industries,” Erikka said. The UFCW says technology should assist workers in their jobs, not replace them — and the numbers support that. At the National Retail Federation’s Big Show in January, a report showed that the potential value of retail digitization through the end of 2019 was $2.8 trillion, with the vast majority of that coming from empowering associates to provide enhanced services through features such as real-time inventory checks and device-assisted sales. The Big Show also provided compelling case studies on the benefits of investing in the workforce. Publix Super Markets and HEB Grocery Stores have both seen success by providing associates with technology and enhanced customer service training — as well as significant opportunities for advancement. Bloomingdale’s streamlined and customized its training for associates at a time when survey results showed the vast majority of shoppers feel that retail workers need to be more knowledgeable and helpful. Several industry analysts have also pointed out that success in the modern retail industry will require a greater focus on talent development. Against that backdrop, Erikka said employers need to recognize the benefits of investing in a skilled, professional workforce. “Our members are value adds and differentiators,” she said. 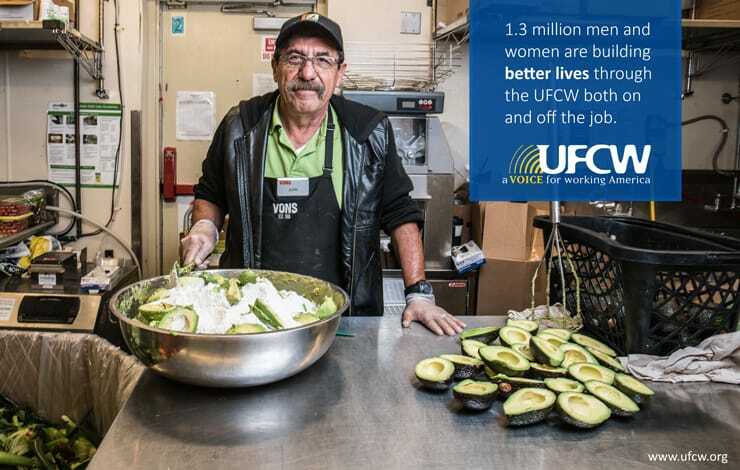 The UFCW is in the midst of a campaign to show the important role its 1.3 million members play in serving customers and helping businesses succeed. If employers recognize that value, they should respond with the pay, benefits, working conditions, and advancement opportunities that define a good job, Erikka said. Scheduling is another significant concern for frontline UFCW workers. Long hours and unpredictable schedules make it more difficult to get children to and from school and child care, schedule doctor’s appointments, and just spend time with family. Erikka noted that UFCW workers at a distillery went on a strike in 2016 to stand up for more staff when they were working 80-hour weeks.